A personal stylist helps you love what you wear. Getting your first Trunk is easy—and getting additional Trunks is even easier. See a video of how Trunk Club works here. 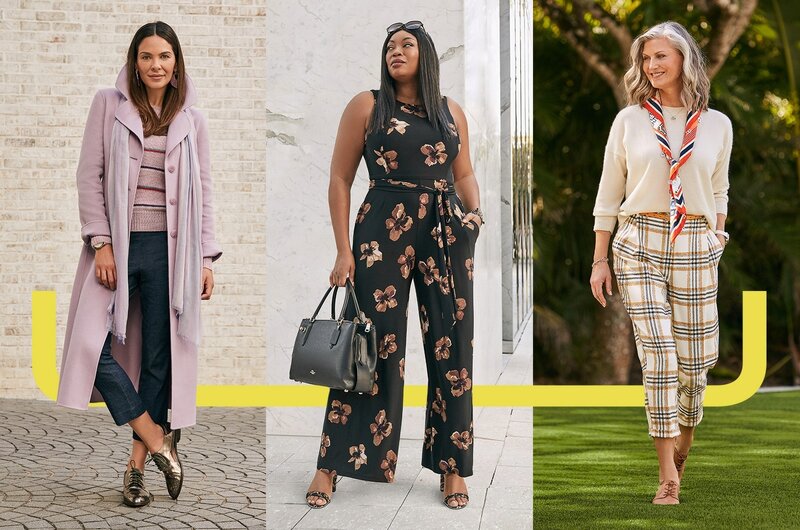 By answering a few questions about your fit, style, and budget, you’ll give us a better picture of your personal style. You can even share Pinterest boards of looks you like. It’ll tell us more about where you shop, what sizes you wear, styles you like, and even how much you typically spend. You’ll talk to a real person in real time, either on the phone or in our messenger app. Work with your stylist as much or as little as you’d like to find the clothes you need. When your Trunk is ready, we’ll send you a digital preview. Yes, a real person! Let them know your needs—you can even share Pinterest boards—and then they’ll send a digital preview of your Trunk. You’ll have 48 hours to approve or amend your Trunk preview. Once you give the thumbs-up, your Trunk will be delivered via UPS in 4–6 business days. Shipping is free, and Trunks can be sent anywhere in the contiguous U.S. Once you approve your stylist’s picks, you’ll receive your first Trunk in about 4–6 business days. Take 5 days to decide what to keep and what to return. A $25 styling fee—waived for Nordstrom cardholders—will be credited toward your purchase. Returns are free with the included shipping label. Simply arrange a pickup with UPS, or drop off your Trunk at any UPS location or Nordstrom store. Take 5 days to decide what to keep and what to return. A $25 styling fee will be applied toward your purchases. Our service works on your terms. Order Trunks at your leisure, or arrange a delivery schedule with your stylist. If you’re a hands-off shopper or short on time, you may want to consider setting up monthly or seasonal Trunk deliveries. Our service works on your terms. Order Trunks at your leisure, or arrange a set schedule with your stylist. Q: How much is a trunk? Our Nordstrom-backed inventory lets you decide how much you want to spend. We carry wardrobe staples such as tees, denim, and sweaters typically in the $40-$300 range. Workwear essentials and more formal clothes start around $200. So really, it's up to you! Each Trunk has a $25 styling fee, but it’s credited toward your final purchase. Shipping and returns are always free. Q: Do I have to buy the entire Trunk? Whether you’re shopping for workdays or weekends, our stylists will send options selected with your lifestyle and budget in mind. At Trunk Club we make sense of style and we make the process simple because well that just makes perfect sense it's also why signing up and getting your Trunk is easy. Simply go online tell us a little about yourself, chat with your personal stylist, then we'll put together outfits based on your preferences. From there we ship them directly to you once your trunk arrives try everything on. If something isn't exactly what you want just send it back to us, but if everything is just right your wardrobe just got that much better. Trunk Club, making sense of style.